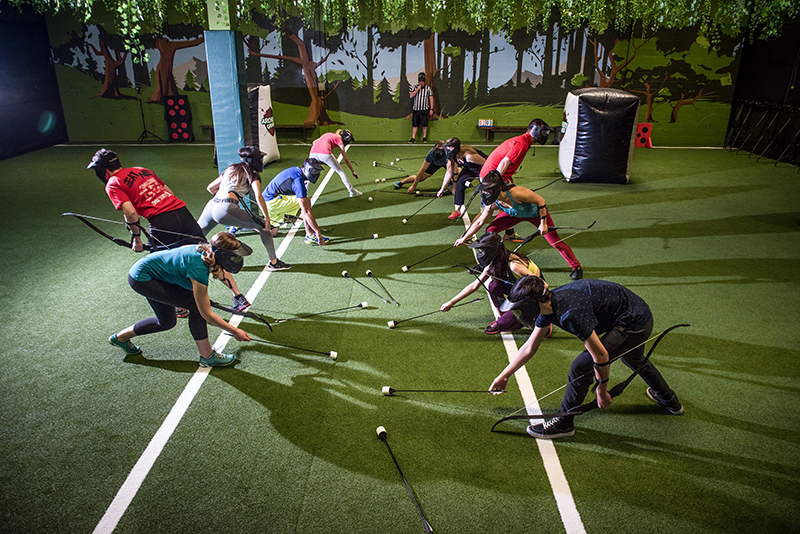 Looking to rent the Archery Games arena for corporate team-building, birthday party, bachelor / bachelorette party, or a private function? Our facility can host events for up to 40 people! Ability to bring in food or drinks (non-alcoholic) and use our lobby tables during your game (and for 30 minutes after your game). 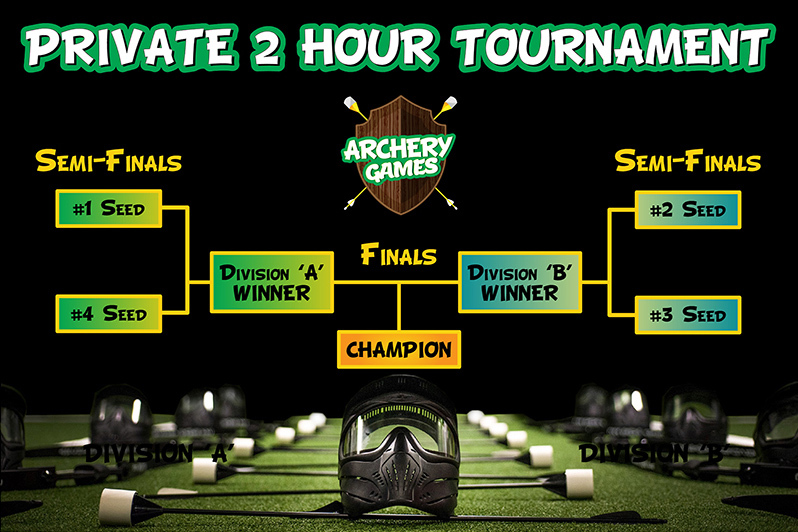 Additional Hours: Rent the archery arena for additional hours at a rate of $300/hr for all subsequent hours after the first hour. Select the “book entire archery game” option on our online booking page in order to book a private 1 hr archery arena rental. Ability to bring in food or drinks (non-alcoholic) during your tournament and seating for up to 40 players in the lobby. We have several catering options available for your event anywhere from light snacks to a full buffet and meal service can be setup at Archery Games. Our lobby can accommodate seating for up to 40 people which makes us a great venue for office Christmas parties, birthdays or bachelor parties. Be sure to take a look at our 2019 catered event options for your upcoming event. Archery Games is a great team-building activity and it’s a sport that everyone can enjoy! We supply the necessary equipment and archery training so that your staff will be firing arrows within minutes! We understand that every company and team is different, so please contact us to discuss how we can deliver an amazing corporate event for you. Celebrate birthdays, date nights, anniversaries and any other private events with a unique and unforgettable experience. At Archery Games we do our very best to accomodate any type of event, please email us at: bookings@archerygamescalgary.ca with any private event inquiries! Archery Games makes a great venue for bachelor or bachelorette parties! We can host up to 40 people at our venue and allow room for food and drinks (non-alcoholic). Plus there’s no better feeling than hitting the man or woman to be with a flurry of arrows! Please e-mail us at: bookings@archerygamescalgary.ca or call our customer service line: (587) 387-2799 for any private event inquires or help in making a private event booking.